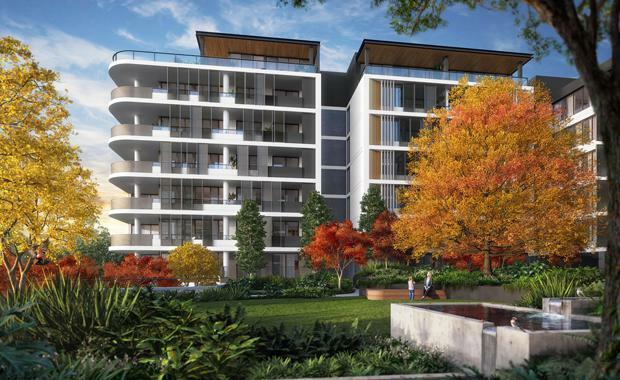 Frasers Property Australia has secured development approval for its PEAK apartments at Putney Hill. PEAK comprises 174 luxury apartments and penthouses set across two buildings at the highest point of the award-winning neighbourhood. PEAK’s development planning approval was granted by City of Ryde in March 2016. It follows masterplan consent for the Morrison Road Precinct of Putney Hill, which was awarded in October 2014. Construction is set to begin in early May. As Putney Hill’s most premium product, the enviable location, sweeping views and immaculate finishes of PEAK resonated strongly with homebuyers at the 2015 sales launch. A selection of one, two and three bedroom apartments remains available from $650,000 to $1.7 million. As Putney Hill moves into its final stages of its eight year construction timeline, PEAK is the penultimate release at the new neighbourhood, with one further release of houses due later this year. Nigel Edgar, Frasers Property Australia General Manager, Residential, NSW says “PEAK is the pinnacle of our vision for Putney Hill. Receiving DA approval is an exciting milestone as it means we can move swiftly ahead with construction of these luxury apartments and continue to deliver on our promise of beautiful new homes for future Putney Hill residents. “Putney Hill has set industry benchmarks throughout its lifespan and the thriving community we see today is testament to the team’s commitment to listening to our customers and continually enhancing the product as we go. The quality and popularity of PEAK reflect this effort, and we are delighted to be moving towards the finish of the project on such a high,” said Edgar.